Red light cameras are in use across NSW roads. 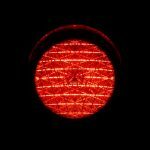 If you have recently received an infringement notice in the mail for not stopping at a red traffic light, you are entitled to challenge it if you wish. 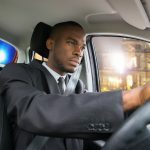 You can dispute the allegation that the offence occurred at all, or submit that there were extenuating circumstances that explain your manner of driving. 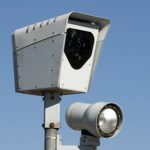 This article will broadly discuss how to get out of a red light camera fine in NSW, and how to appeal against the penalty. Red light cameras are connected to traffic lights. 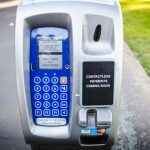 The cameras may be combined with speed cameras at intersections. If your vehicle crosses the white stop line (the first set of lines in the direction you are travelling), after the light turns red, the camera is activated. The camera is not triggered if your vehicle crosses the white stop line on the amber or the green. Once activated, the camera takes two photographs of the rear of your vehicle, identifying your number plate. If you are detected speeding or running a red, the Roads and Maritime Services (RMS) will send you an infringement notice. The fine is then handled by the State Debt Recovery Office (SDRO). If you suspect being photographed by a red light camera, you should ensure that the RMS has your current address. You can do this on the RMS website, and can change your address by calling 13 22 13 or attending any Registry or Service Centre. You will not be able to get around a fine just because the RMS sent it to a previous address. In fact, you can be penalised for not advising the RMS of your changed address. If you have received an infringement notice for the offence of not stopping at a red light, the automatic penalty is a fine of $405 and three demerit points. You can dispute the fact of the incident, if you can prove a mistake has been made. There may also be some extenuating circumstances to explain the incident. For example, if a vehicle behind you was tailgating you, and stopping for a light could have compromised your safety, then you may be able to have the infringement dropped. Disputing the fine in this manner first requires a submission to the SDRO to have the offence reviewed. If they do not accept that submission, then you can take the matter to court for hearing. This will require evidence to be presented in support of your case, and then legal submissions based on the evidence. 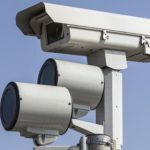 Red light cameras are presumed to be accurate and reliable, so it is recommended to have an experienced traffic lawyer represent you if you go to court over an infringement, especially if you are disputing the fact of the incident. 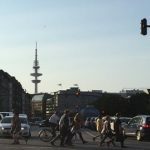 Whether you dispute that you ran a red light, or you are claiming extenuating circumstances, a good traffic lawyer can present your case with credibility and persuasion, and this can only increase your chances of success. If you were the driver and you accept the allegation, you can dispute the penalty. Perhaps you have no more demerit points to lose, and a red light penalty would result in your licence being automatically suspended. A licence suspension can significantly impact upon your life, especially if you rely on your car to get to work and meet your family commitments. Experienced traffic lawyers have the technical know-how and case law knowledge to appeal a penalty that would result in a Demerit Point Suspension to the SDRO or the local court, or even further to the district court. If the matter is appealed in court, there are legal rules to follow. If you have specialist legal representation, you will be showing the authorities that you wish for your matter to be taken seriously, and you will be giving yourself the best chance for a good outcome in your case. Expert lawyers in this area of traffic law can try to argue that the penalty is disproportionate to the offence due to the impact of it on you professionally and personally. A lawyer can set out your character to the court so that they are aware there is more to you than just a traffic offence. Ultimately, decisions in these cases can’t be predicted with any great certainty. It largely depends on how the case is presented and, if appealed to the court, which judge or magistrate is presiding. What if someone else was driving? Someone else may have been driving your vehicle at the time the red light camera was activated. If this is the case, you should not be fined nor have demerit points on your licence. You will see a section on the back of the infringement notice that sets out what to do if you were not the driver. Basically, you complete the statutory declaration provided, which asks for the name and details of the driver. As it is a statutory declaration, you can face penalties for providing false information. Return the notice to the SDRO for consideration. It’s also important to note that if you have been issued with an infringement notice for running a red light, you only have a certain amount of time to pay the fine, dispute it, or state that someone else was driving your vehicle. If you do want to dispute the infringement, contact an experienced traffic lawyer as soon as possible.